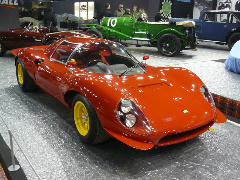 Furthermore, Enzo Ferrari's son and heir, Dino, had leant his name to the car. 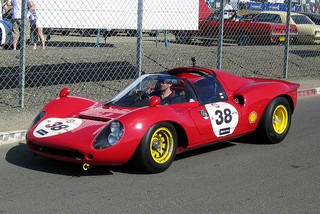 The original Dino was also known as the 206 GT, in which "20" referred to the litre capacity of the engine, and "6" indicated the number of cylinders. 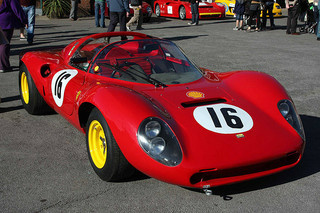 The first prototype, designated the 206 SP (where "S" and "P" referred to Spyder convertible, and Prototype), was introduced at the 1965 Paris Motor Show, and incorporated a traditional tubular steel chassis with a 90 inch wheelbase, in which the engine was positioned transversely. 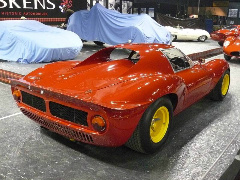 An interesting feature was its lightweight body that was made of aluminium, which was unusual since nearly all Ferrari's built around that time used steel body panels.